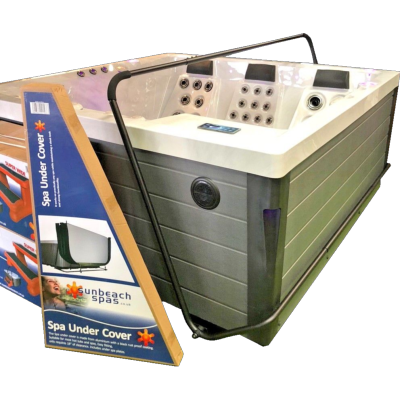 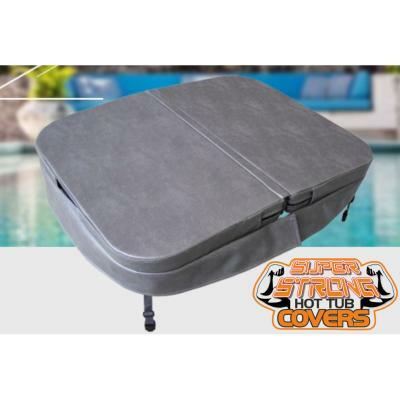 These Super Strong covers are built to withstand a large amount of combined with Double stitch marine grade vinyl, allows this cover to resist UV light, cold cracking, burning, mildew and abrasion. 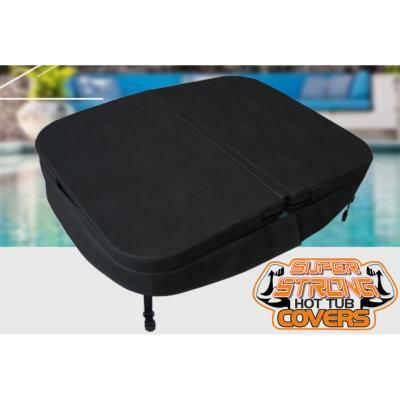 These Super Strong covers are built to withstand a large amount of combined with Double stitch marine grade ninyl, allows this cover to resist UV light, cold cracking, burning , mildew and arbrasion. 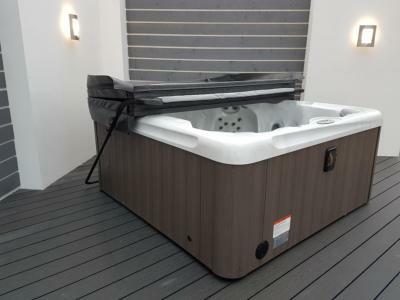 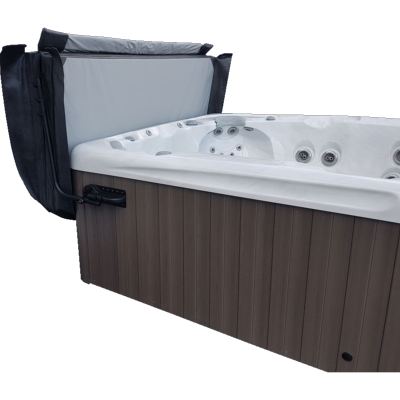 The Flip N Push's universal architecture allows it to work on practically any Hot Tub or Spa while maintaining a sleek design without sacrificing functionality. 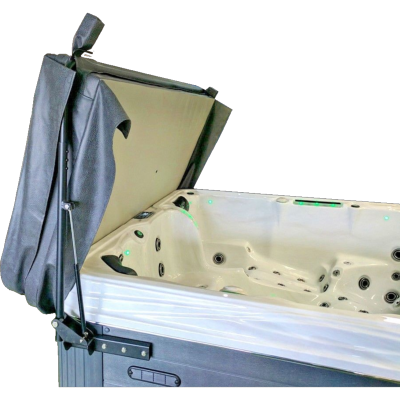 It is extremely easy to setup up because there is no assembly required and just needs to be screwed to the Hot Tub cabinet. 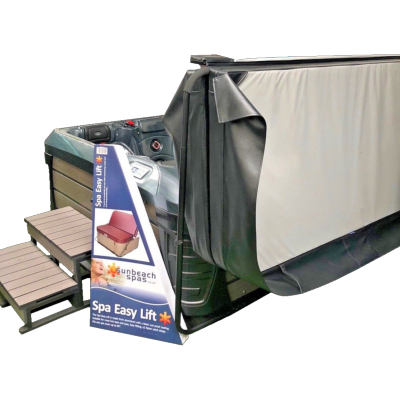 There are 4 rollers on each arm making it a breeze to slide your cover off and on. 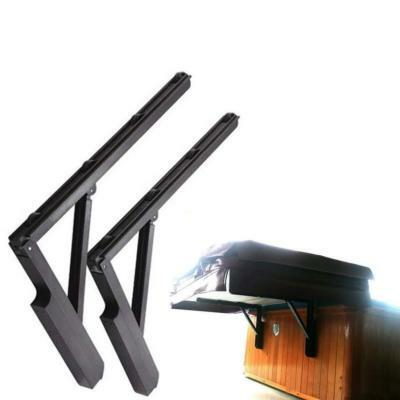 Made of black powder-coated steel. 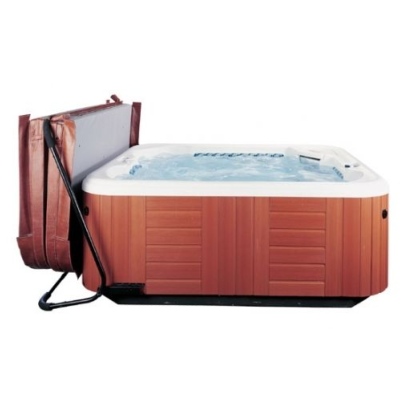 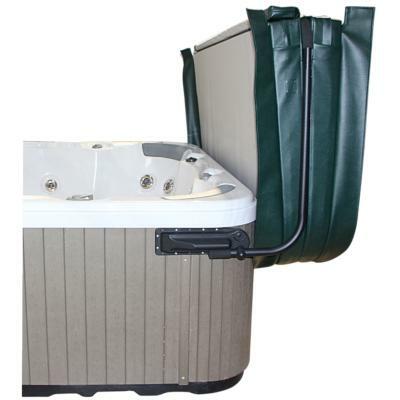 Fits spas up to 8’. 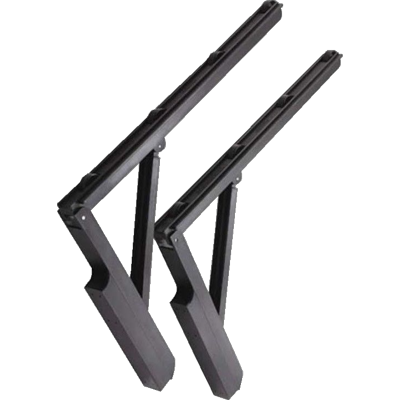 Foot assist eliminates the need for expensive shocks. 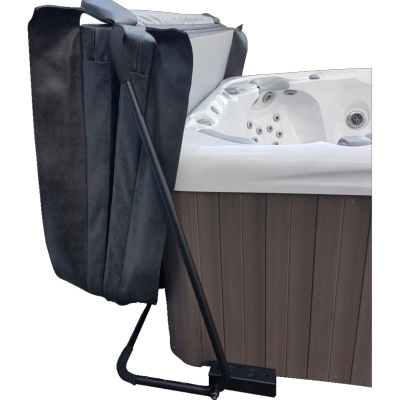 Also fixed by a plate slipped under the spa base, the CoverMate 2 is great for providing a less restricted view when in the open position and requires just 18" of clearance behind the spa.